Climate and topography are the two key factors influencing vegetation pattern, distribution, and plant growth. Traditionally, studies on the relationship between vegetation and climate rely largely on field data from limited samples. Now, digital elevation model (DEM) and remote sensing data readily provide huge amounts of spatial data on site-specific conditions like elevation, aspect, and climate, while recent development of geographically weighted regression (GWR) analysis facilitates efficient spatial evaluation of interactions among vegetation and site conditions. 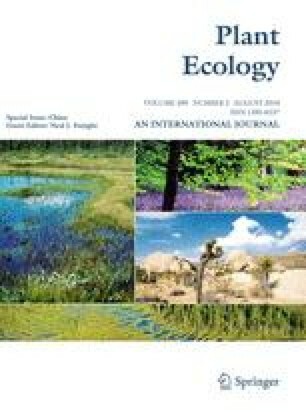 Using Haihe Catchment as a case study, GWR is applied in establishing spatial relations among leaf area index (LAI; a critical vegetation index from Moderate Resolution Imaging Spectroradiometer (MODIS)) and interpolated climate variables and site conditions including elevation, aspect, and Topographic Wetness Index (TWI). This study suggests that the GWR solution to spatial effect of climate and site conditions on vegetation is much better than ordinary least squares (OLS). In most of the study area, effects of elevation, aspect change from south to north, and precipitation on LAI are positive, while temperature, TWI, and potential evapotranspiration have a negative influence. Spatially, models perform better in places with large spatial variations in LAI—primarily driven by strong spatial variations in temperature and precipitation. On the contrary, the effect of topographic and climatic factors on vegetation is weak in regions with small spatial variations in LAI. This study shows that overall water availability is a determining factor for spatial variations in vegetation. This study was funded by International Collaborative Project (2009DFA21690) and National Key Project of Scientific and Technical Supporting Programs (2006BAD03A0206), both from Ministry of Science and Technology, China, and the Hundred-Talent Scholarship Project. Meteorological data supply by National Meteorological Information Centre of China (NMIC) is duly acknowledged. We are grateful to Dr. Moiwo J. P. for editing both the language and the content of the manuscript.